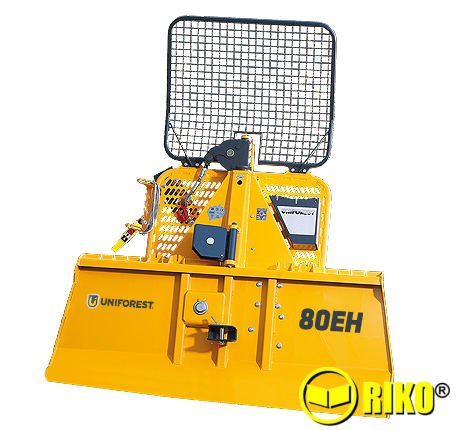 8 Ton Forestry winch, electro-hydraulic control. Folding guard. Lower pulley and hitch. Chain saw & axe holder. 90m 13mm cable, pto shaft. The Pro has hyd cable unwind..
80EH From: £5,220 + vat. 80EH Pro From: £6,000 + vat. 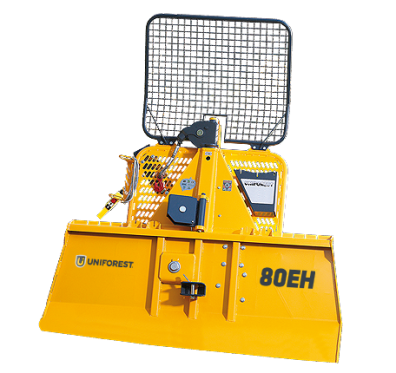 80 EH winch is suitable for medium and large sized tractors from 70hp. It has an independent hydraulic system and all hydraulic components are installed inside the winch frame to protect from any damage and weather. Multi-plate clutch. Hydraulic cable unwinding on the Pro model.